You’re sitting at your desk on a sunny Friday afternoon, and you can smell the freedom. Time seems to slow down as you watch the ticking of the clock, but it finally reaches 5 pm. Excitedly you exit the office, get into your car and drive home. Nothing can ruin this day, and then your spirits are crushed when you arrive home and see a broken window standing wide open, your worst fears become a reality. You have become a South African statistic. Occasionally we tend to forget about our safety concerns because we think that home invasions and robberies will never happen to us, until it does, only to leave us frightened and completely frustrated. Burglar bars and an alarm system simply don’t do the trick these days. As the crime level in society rises, one has to take extra precautions. Shutters are an excellent protection method, it safeguards your home from intruders and look great at the same time. The question we would like to help you with is which type of security shutter best suits your needs. What are roller shutters and how can they protect you and your family? A Roller Shutter is known as a particular type of window or door shutter consisting of many horizontal slats hinged together. The door can then be raised to open it or lowered to close it. Once installed, it’ll protect against strong winds, hard rain and unlawful intrusion from taking place. These shutters can also be operated either manually or automated motor. Did you know that ancient Romans used complicated metal locks to prevent intruders from entering? Not only that but years ago, the Japanese purposefully built their homes with squeaky floors, so they could be alerted if anyone attempted to enter their homes. When it comes to today’s security methods, technology has advanced in such a way, that one doesn’t have to go to those extremes. Roller Shutters are the ideal asset for protecting your investment, residentially and commercially, against crime. Its sturdy material and design make it almost impossible for would-be thieves to enter a home or commercial establishment. In a world of global warming, it’s hard to determine the weather. It could be a beautiful day filled with sunshine, but it could change in an instant, leaving us with a storm and damaged items. With Roller Shutters, you’ll be creating one less problem for yourself and your family as it’s incredibly resistant to harsh weather conditions. There is nothing worse than spending money on something that could have rather been used for something else. In the summer and winter, most of us automatically gravitate towards air conditioners or heaters. These items do add a level of comfort, but they also cause the electricity bill to skyrocket. 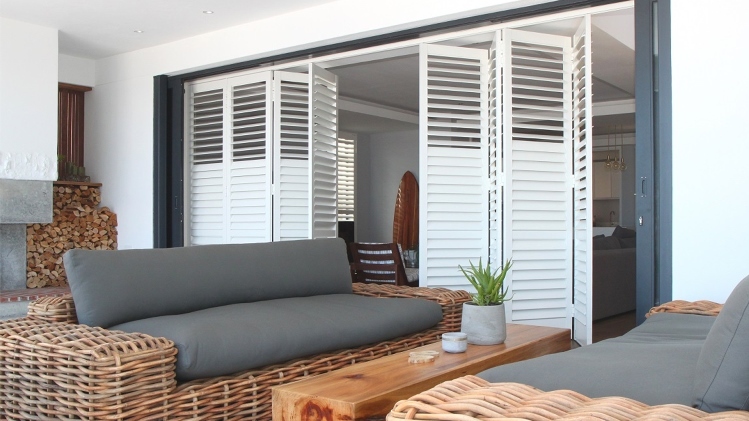 These shutters can be custom-made to suit your style. In addition, manufacturers have made it more than just a pretty item. It is functional, helping to save energy and thus money by being energy efficient. It’s an excellent insulator as it has the ability to keep your home warm or cool depending on the season. How are these different I hear you ask? Security Shutters are not only more attractive, but they also act as an incredible crime barrier. It’s custom-made from aluminium and consists of adjustable louvres with reinforced steel rods going through the core. It’s also manufactured with a patented key locking system with stainless steel bolts, making it extremely difficult to gain entry. The name says it all. Security Shutters are the future of safety measures. It’s neat, modern and keeps out pesky wandering eyes and hands. Gone are the days of purchasing unattractive security products. Is there anything worse than getting too hot and then too cold? Kind of like the flu, except this time, we can do something about it. Security Shutters have built-in insulation, ensuring that you’re comfortable through all the seasons. The flow of air and heat can be controlled with the adjustable louvres. If the heat or light becomes too much for you, simply adjust the slats to your desired location, giving you a comfortable tempered room, as well as a considerable amount of privacy. When it comes to security, both these products are an excellent choice. At the end of the day, your choice of product all depends on your needs. Speak to an expert to help you make the suitable choice. This entry was posted in Security Shutters and tagged aluminium security shutters, Security Shutters, Shutter Supreme, Shutters.